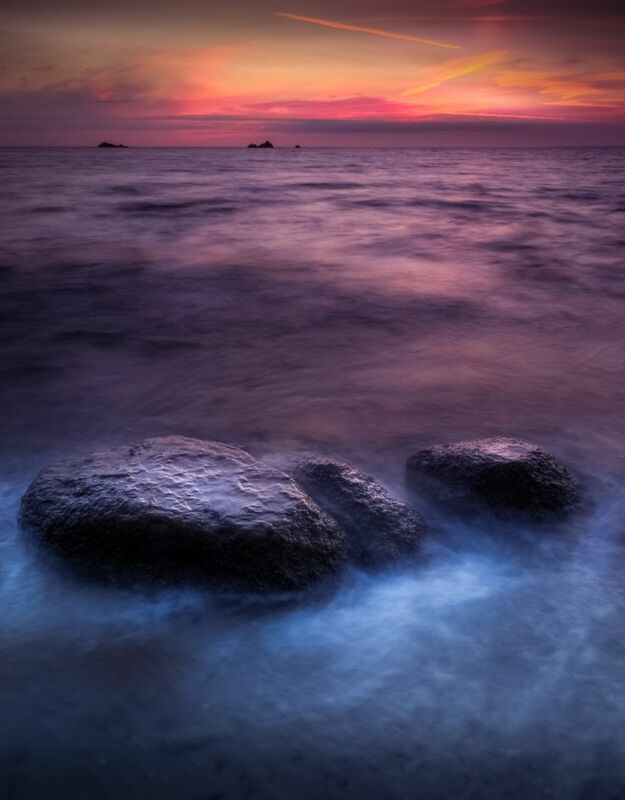 This image is showing an evening sunset in Jersey, Channel Islands.I shows three boulders in the foreground surrounded by waves that are blurred due to the slow shutter speed. The boulder lead the viewers eye into the image. Date Uploaded: Oct. 18, 2018, 2:35 p.m.